Home » Nutrition » Is Peanut Butter Good For You? I know, that the very mention of peanut butter brings to the minds of many the classic combination: jelly sandwiches and peanut butter. Me though, I’m yet to eat a peanut butter sandwich myself. Yes, I’ve never eaten one in my life– could it be because I live in the UK where peanut butter is not anywhere as popular as in the US? In fact, according to a 2002 survey report, an average American, before he even graduates from high school, will already have eaten as many as 2,500 of these peanut butter sandwiches. Is anybody frowning? However, in more recent times, peanut butter has earned a bad name for itself as a ‘fatty’ food. Since peanut butter is extremely calorie-rich and is also quite high in fat, many have come to see it as an unhealthy food. However, if we concentrate more on hard facts, it will appear that a food item cannot be called unhealthy just because it is high in calorie and fat. Peanut butter, for example, despite its high-calorie and fat-rich quotient, is not an unhealthy food. On the contrary. It is extremely beneficial for most people. Peanut butter is a highly nutritious food. For instance, 2 tablespoons of peanut butter is known to contain 3 mgs of Vitamin E, a rich source of antioxidant which helps in the prevention and cure of skin ailments. Studies have also shown that Vitamin E helps with Alzhiemer’s and heart diseases. At the same time, the food is rich in potassium (approx. 210 mgs in 2 tbsps), magnesium (approx. 49 mgs), and many other essential vitamins. One study even showed that eating a single tablespoon of peanut butter 5 times a week lowers the chances of contacting type 2 diabetes by as much as 21%. This may seem a bit confounding since peanut butter has already earned a reputation as a fattening food. However, that concept is not analytic enough and is based solely on the raw nutritional facts of the food. Each tablespoon of peanut butter is known to contain an approx. of 188 calories. Therefore, the claim that it can help you lose weight may appear somewhat counter-intuitive. That is, however, when you do not analyse enough the character of this nutritional information. For example, one must also know that each serving of peanut butter contains a good amount of dietary fiber (2 gms) and protein (8gms). For an average individual, the daily dietary fiber requirements are 18-23 gms. Now, we may mention that fiber helps in digestion and helps prevent diabetes, cancer, and heart diseases. But, one must remember that fiber also helps people who are on a low calorie diet to gain a feeling of fullness. This way food items rich in fiber help curb appetite and contribute in an important fashion to any weight loss regimen. This reads directly contradictory to my above point. However, the point to note here is that when we say gaining weight, we are thinking of gain in muscles, and not fat. Since peanut butter is a protein-rich food, it immensely helps people who are looking to gain weight and develop beefier muscles. Protein plays the most important role in repairing and building muscles, and all people looking to develop muscles are advised a lot of protein-rich food. Certainly, peanut butter cannot compare with a turkey or a chicken breast when it comes to the protein-richness of the items. However, if you combine a glass of milk and a few slices of ezekiel bread along with peanut butter, the protein intake will be around 30 gms, apart from the fact that you will be consuming some decent amount of carbs, too, in the process. 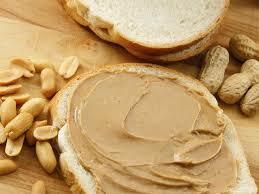 Lastly, peanut butter is available at much easier prices than protein shakes or energy bars. These days, the very word fat seems to unleash terror in the minds of most health-conscious people. As you make your way through the winding aisles of your local supermarket, you will get to see many packages flouting ‘fat-free’ or ‘low-fat’ labels. However, let us put it very clearly that all fats are not necessarily unhealthy. When we talk of fat being harmful for our system, we are actually talking of trans-fats and saturated fats, the type of fats that are normally found in copious quantities in fast food items. However, the story is different with peanut butter. This food item is full of polyunsaturated and monounsaturated fats– the types of fats which are known in medical science as fats which are healthy for human heart. In addition, monounsaturated fats help prevent metabolic syndrome and also prevent belly fat. Tip: Many who cannot live without peanut butter and yet look to minimise the supposedly harmful effects they think it will have on their system, tend to go for peanut butter of the ‘reduced fat’ variety. You may as well not bother, since these items substitute healthy fats with processed sugars. So, you may just as well trading off the healthy elements for some unhealthy carbs. 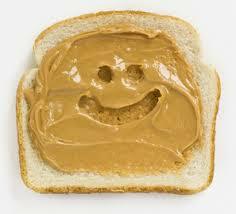 Peanut butter, you can thus see, is an extremely nutritious and healthy food item. It is full of heart-healthy fats, is a rich source of protein and vitamins, and is a great food for people who are looking to gain weight or beef up their body. The vitamin-rich nature of the food also helps prevent many diseases such as diabetes, cancer, heart diseases, etc. To round it up, never fall for the argument that peanut butter is an unhealthy food. It is high in calorie and fat, yes; but it is full of healthy fats and taken in moderation, can have many positive effects on someone’s health. While generally frowned upon in the Primal community, I enjoy PB from time to time. I found I had bad reactions (sinuses, gunk in the throat, etc) when using poor quality PB. I would suggest to everyone to get a good quality PB. Doesn’t need to be top of the line quality, but go for the “natural” kind where they use simple, good ingredients like peanuts, palm oil, sugar, salt…and that’s it. No adverse effects for me from these.